Adaptive radiation, which results when a single ancestral species gives rise to many descendants, each adapted to a different part of the environment, is possibly the single most important source of biological diversity in the living world. One of the best-studied examples involves Caribbean Anolis lizards. With about 400 species, Anolis has played an important role in the development of ecological theory and has become a model system exemplifying the integration of ecological, evolutionary, and behavioral studies to understand evolutionary diversification. 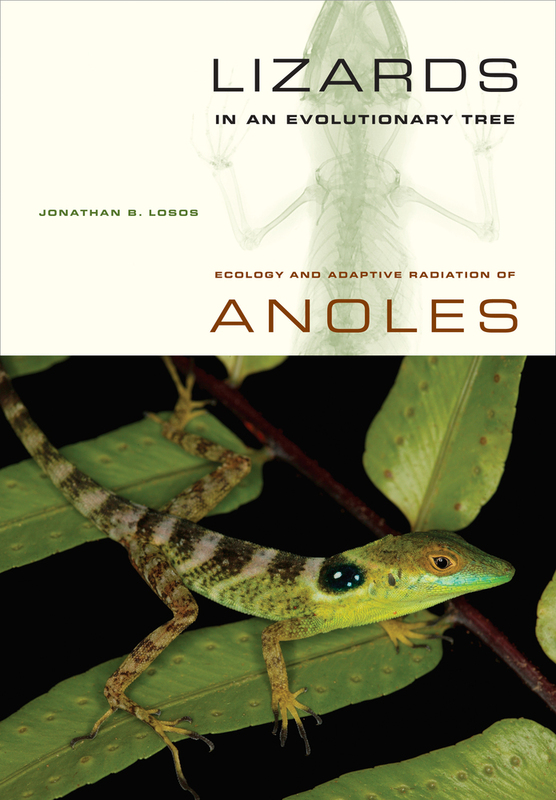 This major work, written by one of the best-known investigators of Anolis, reviews and synthesizes an immense literature. Jonathan B. Losos illustrates how different scientific approaches to the questions of adaptation and diversification can be integrated and examines evolutionary and ecological questions of interest to a broad range of biologists. Jonathan B. Losos is a Monique and Philip Lehner Professor for the Study of Latin America and Curator of Herpetology at the Museum of Comparative Zoology at Harvard University. He is a newly elected member of the American Academy of Arts and Sciences, and a recent recipient of the esteemed Daniel Giraud Elliot Medal. Losos is recognized for his novel and penetrating evolutionary studies of adaptive radiation in vertebrates, notably his comprehensive study of Anolis lizards in tropical America, as summarized in his recent book, Lizards in an Evolutionary Tree: Ecology and Adaptive Radiation of Anoles.